In collaboration with Sprig: Nature Immersion, this camp takes place fully outdoors and provides children with unstructured time to be in nature! Participants are empowered to pursue their individual interests through play, with the guidance of the earth, their peers, and an adult companion. Children therefore strengthen their sense of awe and wonder towards the natural world, deepen relationships to their inner-self and their peers, and cultivate engaged learning opportunities. 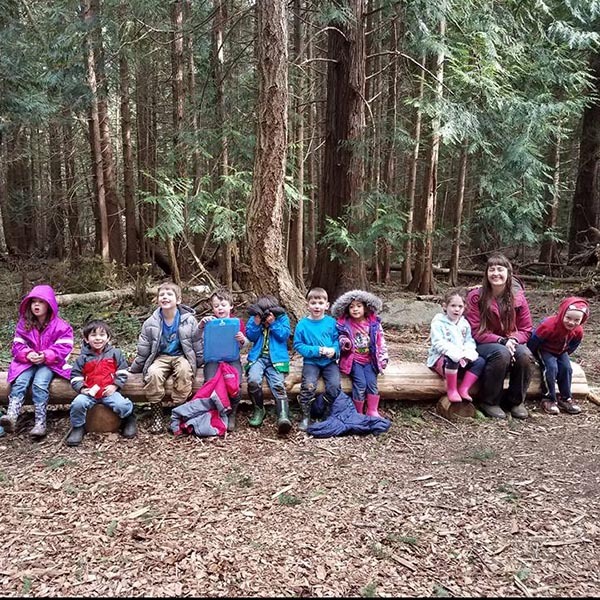 In all Sprig: Nature Immersion programs, we believe that when children are given the opportunity to navigate unstructured time outdoors, in play, children construct learning opportunities unique and meaningful to them. Therefore, a typical day of camp is likely to include imaginary adventures, open-ended exploration, friendship building, naturalist skills practice, fort construction, mud kitchen play, nature-based crafts, and so much more!